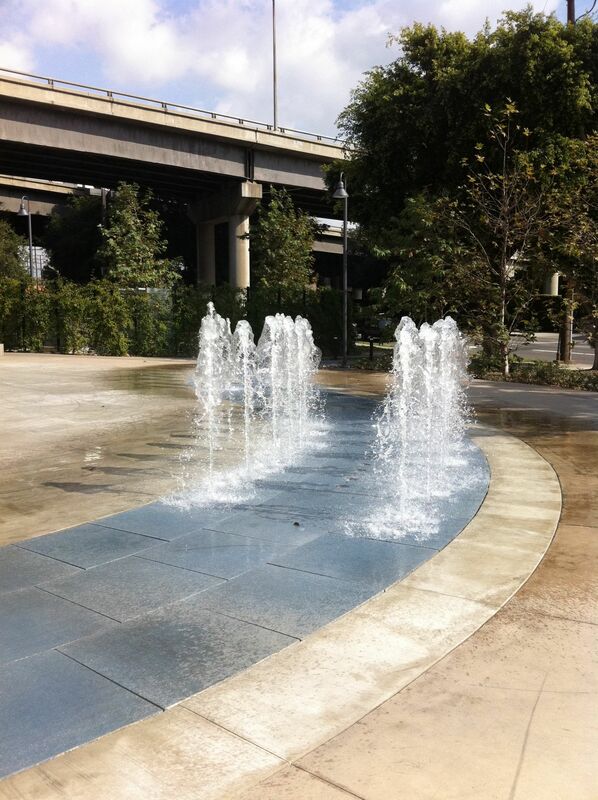 Confluence Park recently opened in Los Angeles at the corner of N. San Fernando Road and N. Figueroa Street. 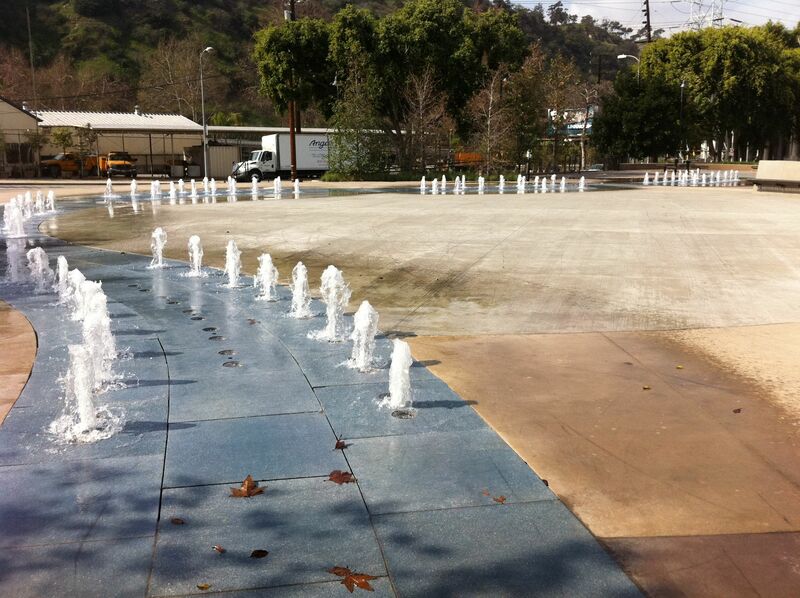 The project is a collaboration between Mia Lehrer + Associates and WET Design. 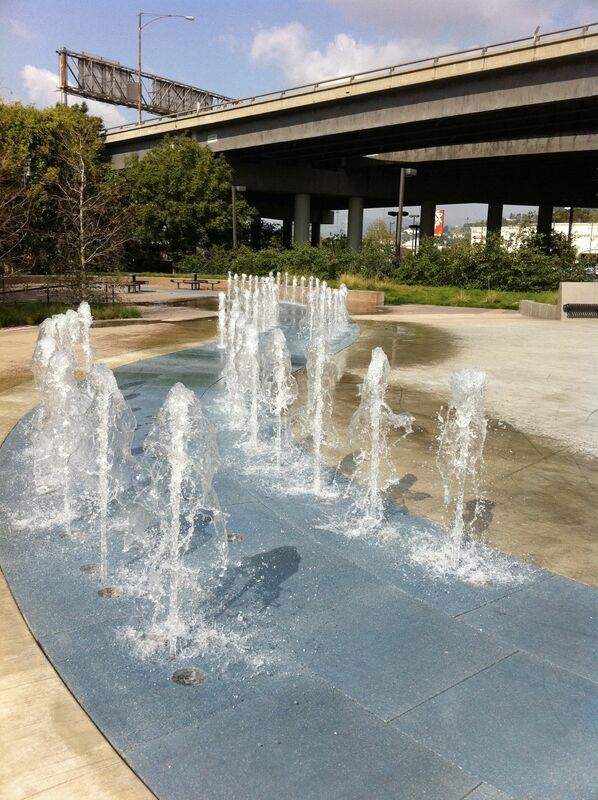 The linear interactive water feature is meant to represents the Los Angeles River where it meets up with the historic Arroyo Secco. Come check it out. 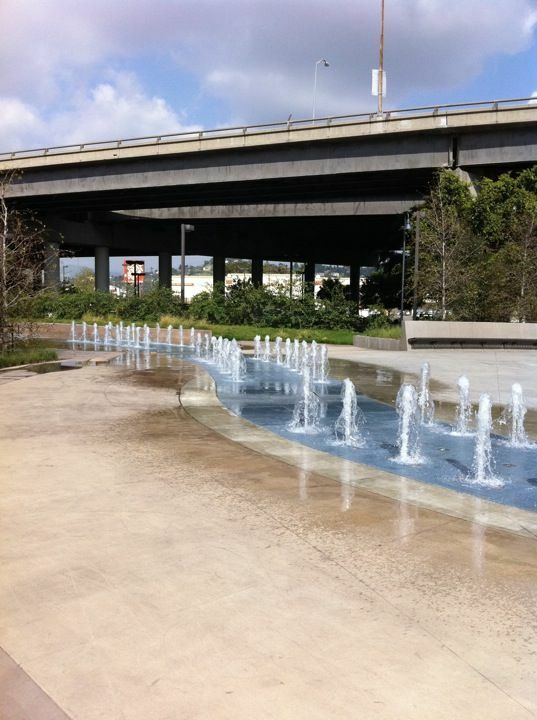 It is right next to Home Depot under the highway.